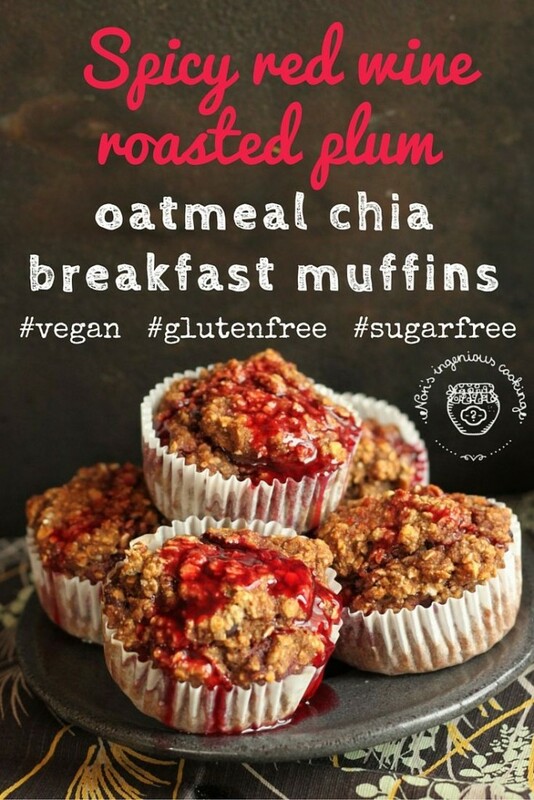 Healthy make-ahead dessert-for-breakfast delicious vegan, diabetic muffins. Combine dry ingredients in a mixing bowl: oatmeal (buckwheat meal), flours, baking soda, salt. Put chunks of banana, rice milk, chia seeds and stevia powder in a blender and mix well. Add liquids to solids and combine, finally add the plums. Devide into muffin caps and bake at 180 C / 350 F for 20 minutes. They can be kept in the fridge in an airtight container for up to 2 days.